My friend Donald has lived his whole life in an apartment beside the Chicago L-train. Every night he goes to sleep, and the L-train inevitably comes blaring by his home at 2 a.m. Because Don has been living there for so long, he claims he doesn’t hear the thunderous train screaming by, shaking the whole house. He told me one day that while he was asleep, he heard a small creak in his apartment and awoke instantly. He thought a burglar had crept in. That small noise woke him up immediately. The train wasn’t relevant to Donald, therefore his subconscious paid no attention to it when it went by. His brain deemed the sound irrelevant and therefore shut out a noise that may have easily woken you or I. However, the slight creak that woke him was a noise that his brain wasn’t used to, and it triggered a response in his mind telling him he needed to pay attention. What does this have to do with social media? A lot. 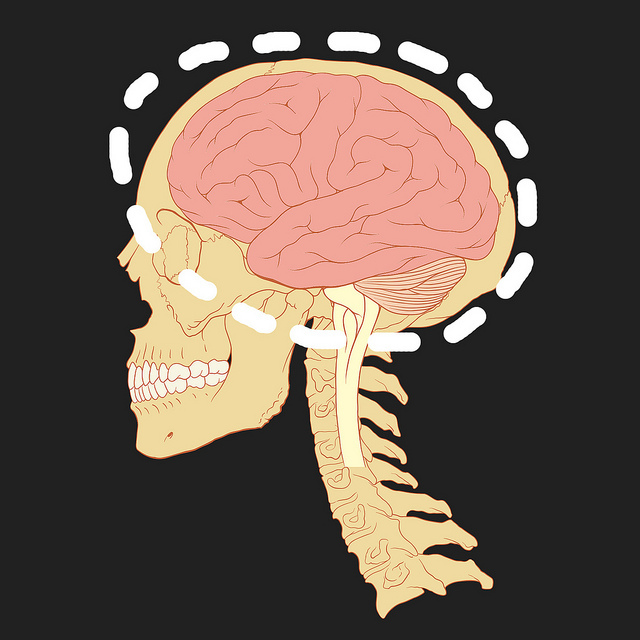 There is a small portion of your brain called the reticular formation. It’s a set of nuclei in the brain that controls what is relevant (things you pay attention to), and what isn’t. Things that happen that we deem irrelevant are called Habituation. This often happens when we see something over and over again or when we become used to the same old thing happening repeatedly. So in order to create something for your brand on social media, you must reveal something that will knock people out of this state of mind. Your target audience needs to be enticed like never before. You can use their reticular formation to speak to their mind and be relevant. One of the many problems that causes habituation on social media is the constant selling. Your target audience is less concerned with giving you money than they are with completing a goal or a task that is important to them. , that talks about toning down the social selling and focusing more on helping others. The jabs are the helping, engagement, and conversation, and the right hook would be the selling point. Before you can be relevant, you have to be helpful and establish a sense of trustworthiness that will pique someone’s interest in your brand. Even so, your target audiences’ reticular formations may still be blocking you from getting through; maybe you aren’t being relevant to them in the way they need you to be. You aren’t “waking them up” with anything you’re doing. Tell the whole story of your brand online. I know it’s difficult to disclose some of the less favorable parts, the parts of the story that highlights mistakes, but this can make your brand more relatable to individuals. When you tell a story that is relevant to their situation, then they understand that you know what they are trying to accomplish. So don’t leave anything out. Leverage truth to create an authentic brand that will draw your audience closer to you. What skill can you absolutely master? In any niche, you should amass as much knowledge as possible on your specific subject. In this way, you’ll be the go-to person to trust when this subject comes up. in which a leader from the Best Buy Geek Squad was given a hard time by a reporter about giving so many video tutorials away for free. The reporter indicated that this might be eating into their profits. Your expertise can come in many forms, the best of which is free because this allows you to spread your knowledge about a certain topic with a greater reach. In order to be relevant you have to depend on these three things: Content, Context, and Contact. In order to successfully deliver a message that will force people sit up and take notice, you must remember to create content that communicates your message effectively. What are you going to help them accomplish today? How will this help them improve? These questions will jolt someone out of their habituation and start to see your content as relevant. These are the circumstances that place your message, and what you are trying to communicate, in a broader setting. The context of your brand doesn’t have to be both deep AND wide, but it at least needs to be deep. Without contact, both content and context could be destroyed for your audience. Brands that do not communicate with their audience could be thought of as impersonal and uncaring. While you may not go to social media and think “I sure do hope I can snap someone out of habituation today,” you will still want to grab attention with your content or your product. One thing to always remember is to do your best to be consistent with being authentic. Be the expert that people can always go to. And remember content, context, and contact inside of your social strategy. Is your target audience sleeping while your content is passing them by? The success of content isn’t over when you press publish. It’s what you do after that determines how well you will do. Wade Harman is an ex-coal miner turned full time blogger. 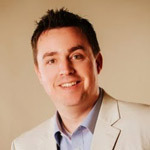 He talks about relationship marketing strategies for your business on his blog and on iTunes. He is a speaker, manager, and a Star Wars fanatic. Say hi over on Google+ and Twitter. Book links are affiliate links.